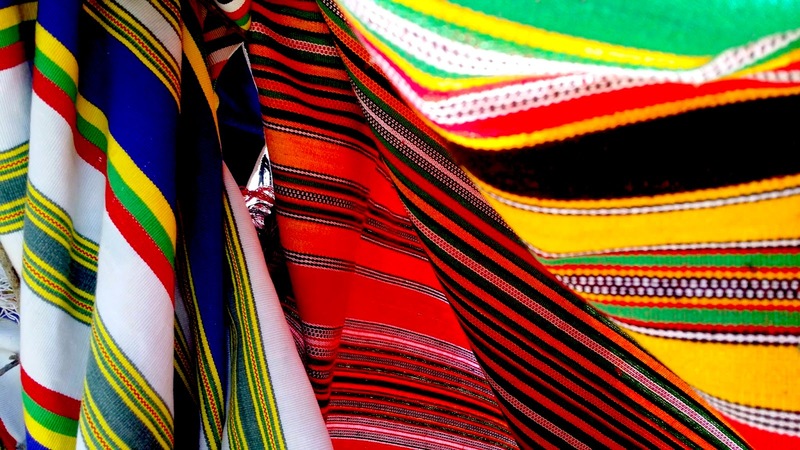 CULTURUNNERS IN ABHA -TEXTILE TOPOGRAPHY. 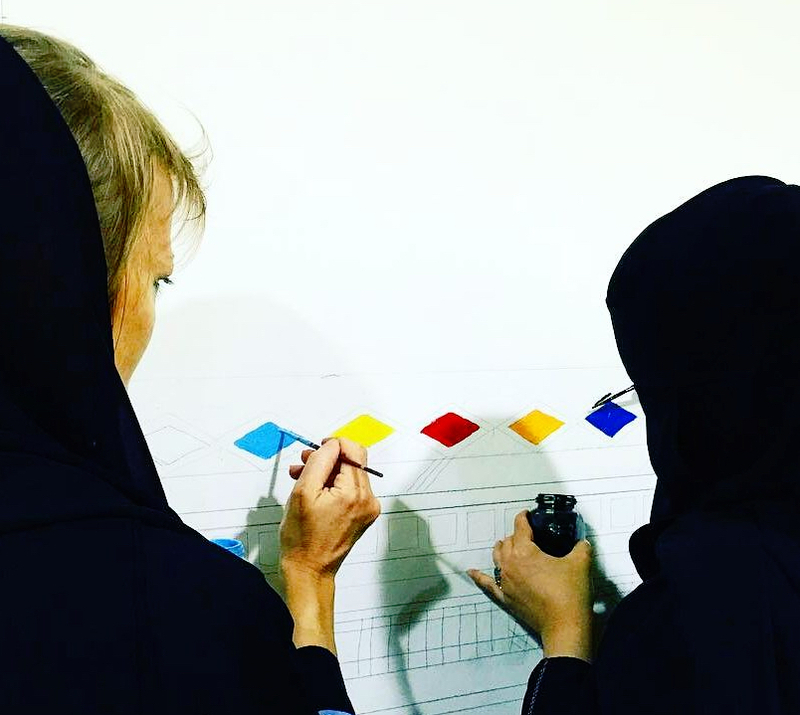 By Anne Senstad, assisted by Nadine El-Khoury as part of CULTURUNNERS cross cultural initiative, and Senstad's initiative establishing a collaborative platform between women artists in Saudi Arabia and the west as well as her ongoing research on middle eastern traditions of geometry, patterns and color usage absorbed into her contemporary art practice. 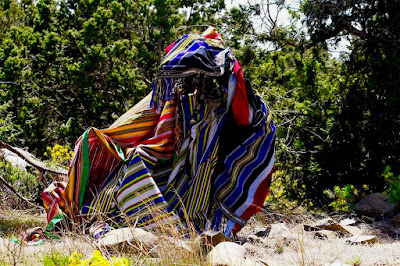 The site specific textile interventions represents a branch of Senstad's body of intervention practice, as well as her textile works Fabric Wall Sculptures, 2015. 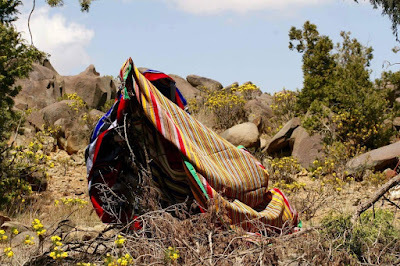 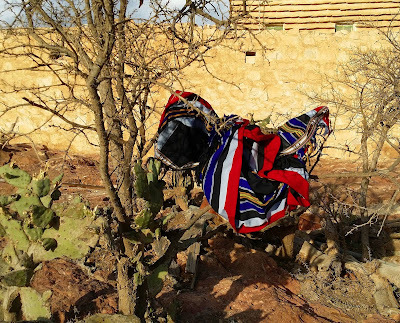 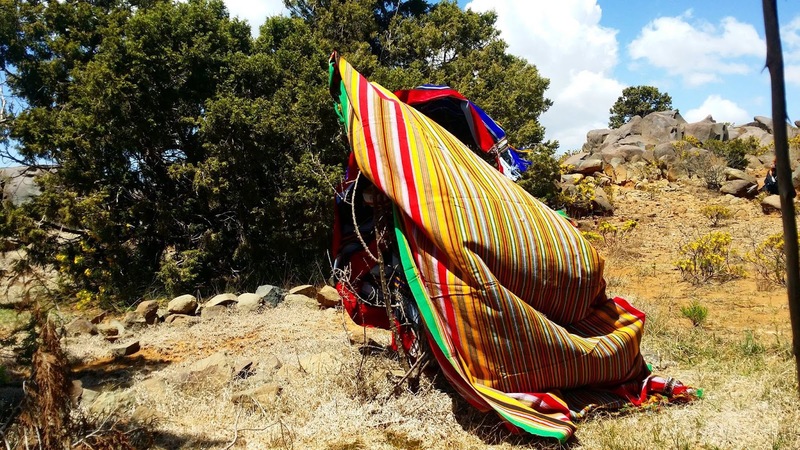 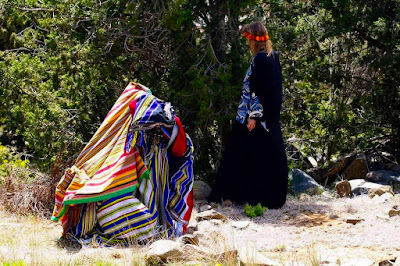 In Senstad's performative site specific installation she utilizes traditional Asiri textiles from the southern region of Saudi Arabia, raising awareness to the rich heritage and traditions of Saudi Arabia's ancient tribal culture, heritage and preservation, architecture style unique to the Asir region and artisanal traditions such as weaving and the geometric colorful interior house painting performed by women artisans. 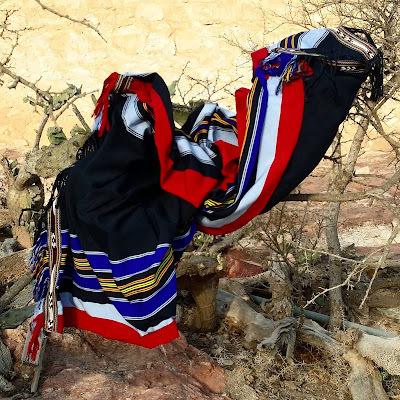 The textile installations are created in the village of Abha and at Jebel Al Soudah, the highest peak in Saudi Arabia, at 3018 meters. 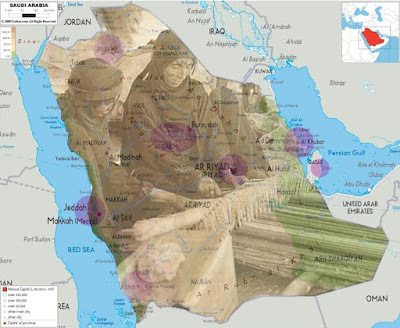 The project is supported by Culturunners/Edge of Arabia and Office for Contemporary Art Norway. CULTURUNNERS in Abha, an international womens art initiative and a cross cultural platform initiated by Norwegian artist Anne Senstad and CULTURUNNERS to establish intercultural and meeting of traditional Saudi womens artisanal art practices with contemporary art between women artists. The women artists are here collaborating on a traditional Qut wall painting in the village of Abha in southern Saudi Arabia. Performed by Anne Senstad, Nadine El- Khoury and women artists in Abha, Asir region. 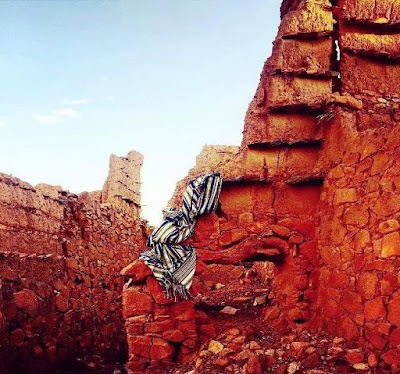 Qut is a women only tradition of wall painting of interiors of houses found in the Asir region. Supported by Office for Contemporary Art Norway.